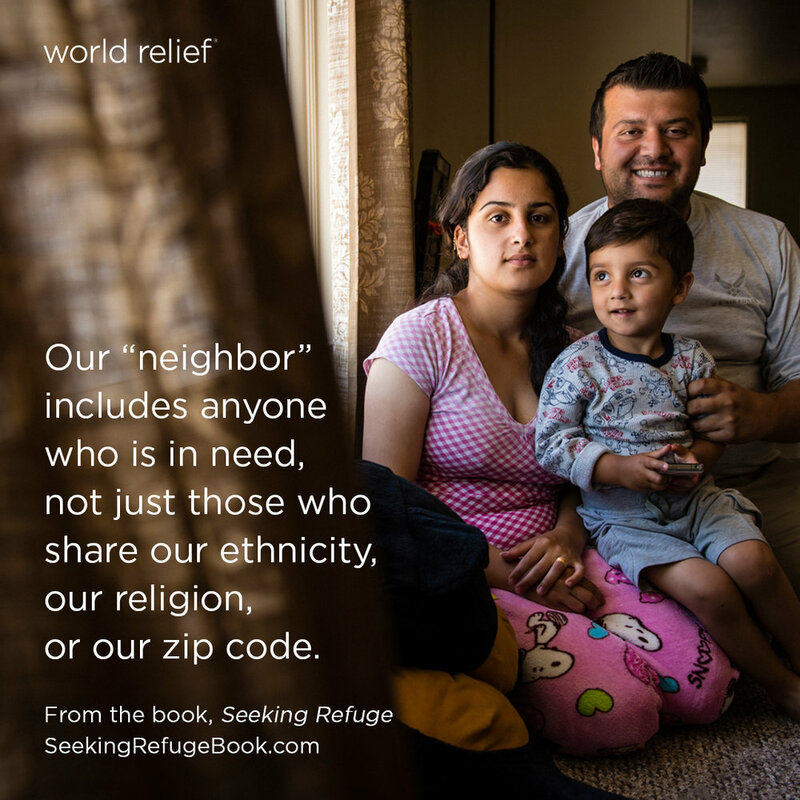 How can you make a difference in the lives of refugees? Small Group Discussion Guide Now Available! 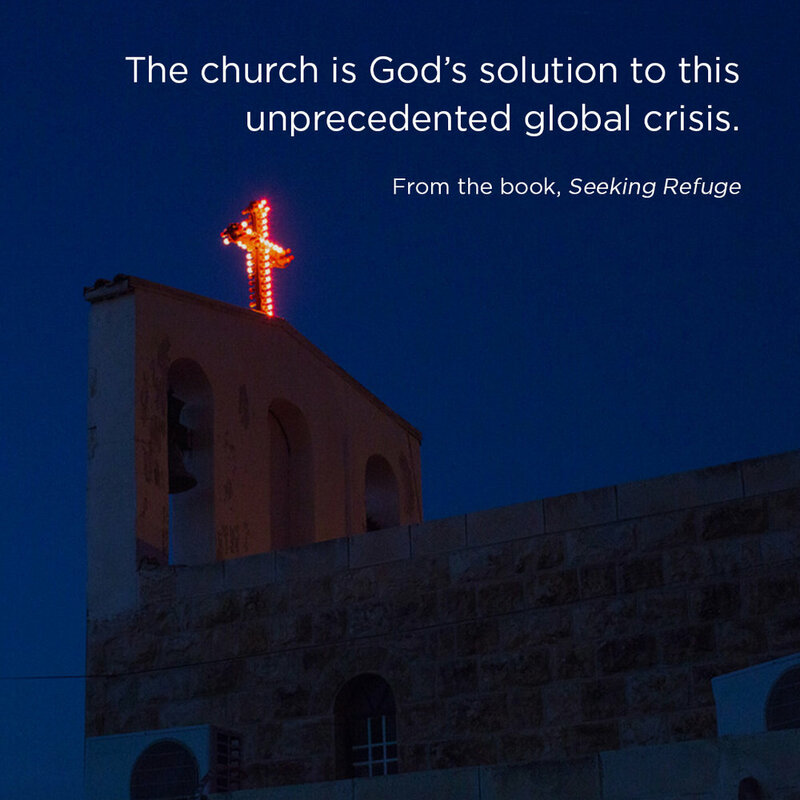 We can’t ignore the refugee crisis—arguably the greatest geopolitical issue of our time—but how do we even begin to respond to something so massive and complex? 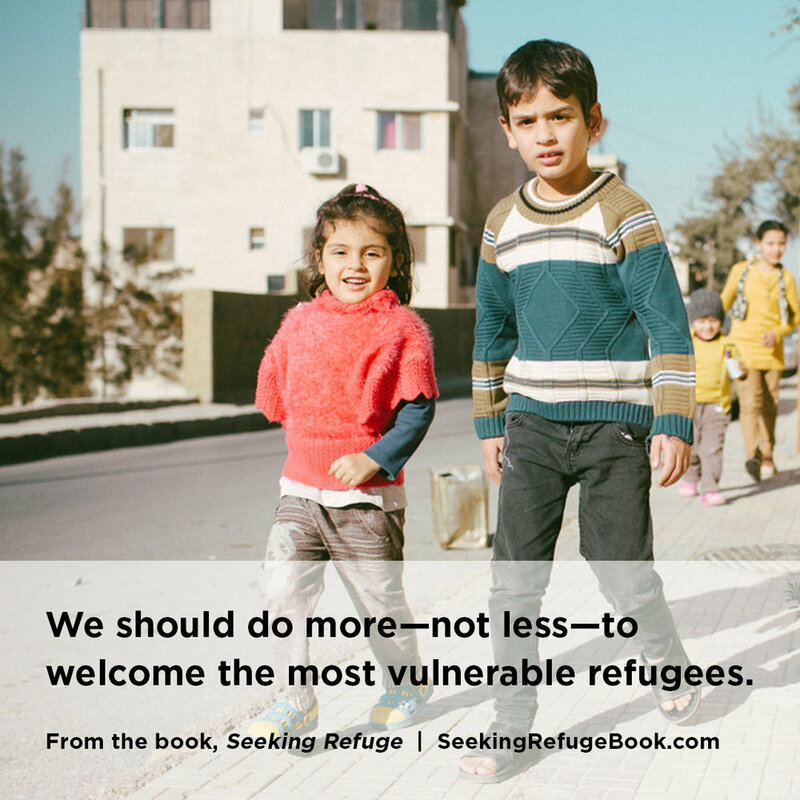 In Seeking Refuge, three experts from World Relief, an international non-profit specializing in refugee resettlement, offer a practical, well-rounded, well-researched guide to the issue. 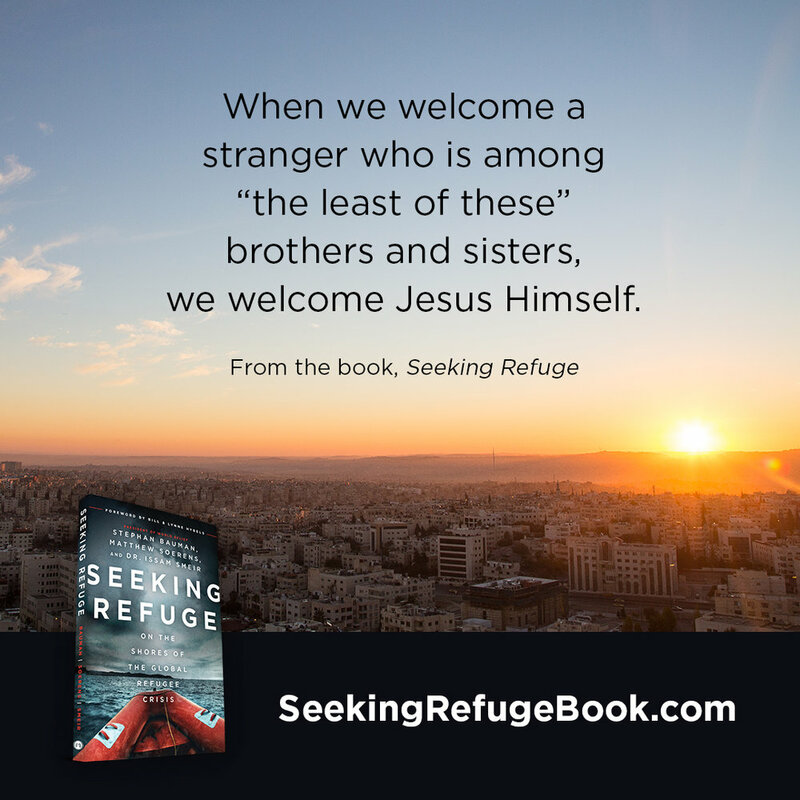 "This book is a powerful, persuasive case that the people of Christ should care about the vulnerable, including those fleeing from danger. Read this book with an open mind and a Christ-shaped conscience. 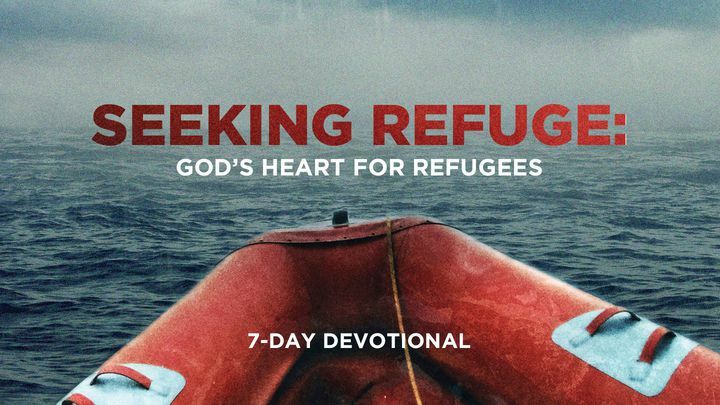 The Bible speaks repeatedly to God’s heart for those who are refugees—individuals who have been forced by persecution to flee their country of origin and take up residence in a new land. 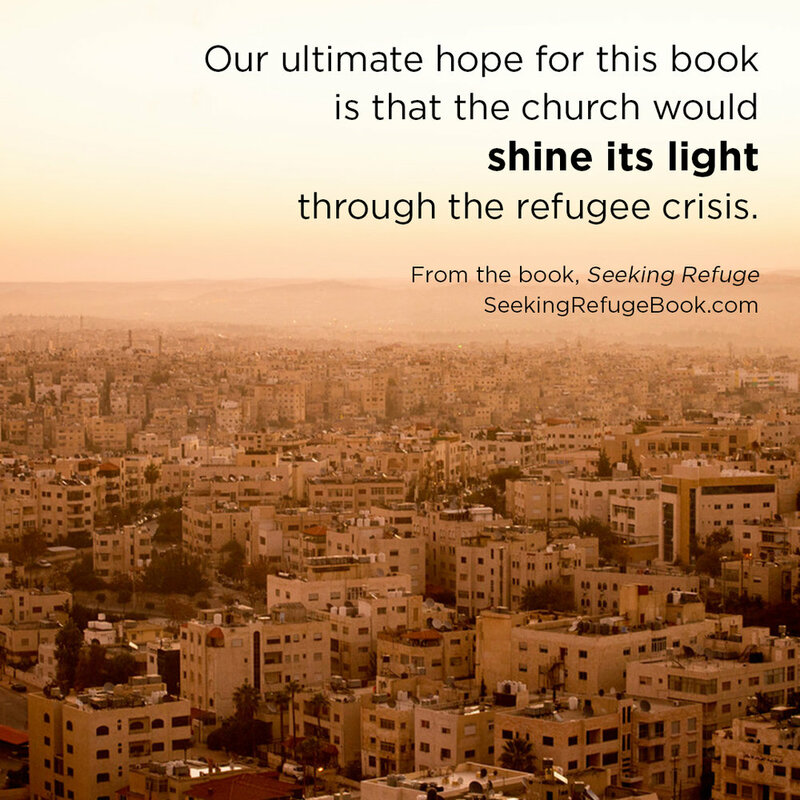 This reading plan is adapted from Seeking Refuge: On the Shores of the Global Refugee Crisis. 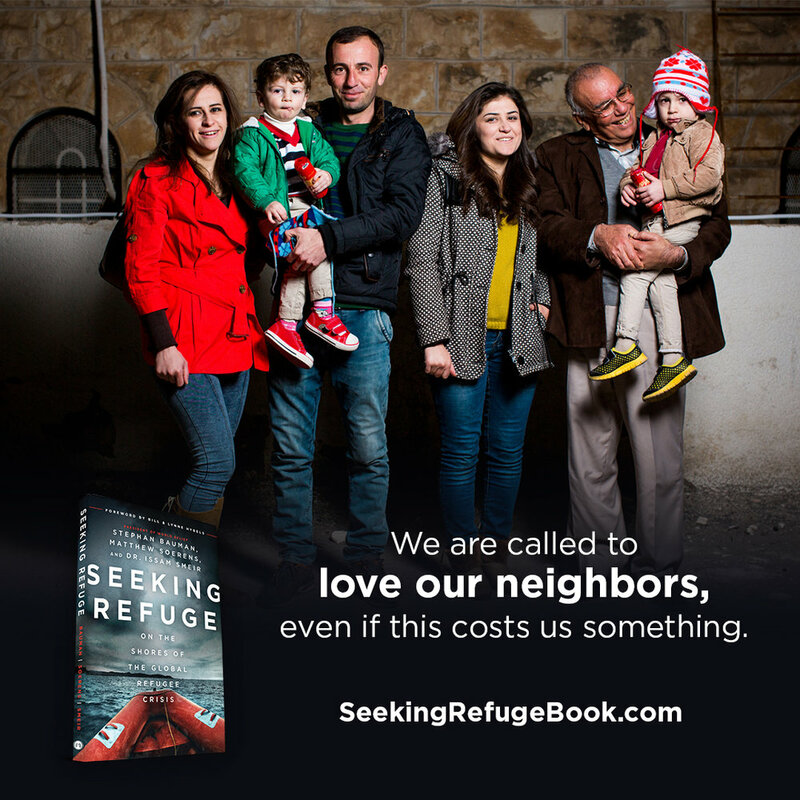 Want to read Seeking Refuge with your small group? Order in bulk and receive 20% off! Leading a church? Receive 50% off bulk orders with an exclusive discount. Call Moody Publishers at 1-800-678-8812 or email them directly to order. Stephan Bauman's pursuit of justice led him to transition from a successful career in the Fortune 100 sector to Africa, where he directed relief and development programs for nearly a decade before returning to the United States. Stephan holds degrees from Johns Hopkins University, Wheaton College and the University of Wisconsin. He is a poet, ordained minister, Certified Public Accountant and the author of Possible: A Blueprint for Changing How We Change the World. Stephan, Belinda, and their two sons, Joshua and Caleb, and, together, enjoy the woods, the arts and late night conversations with friends. 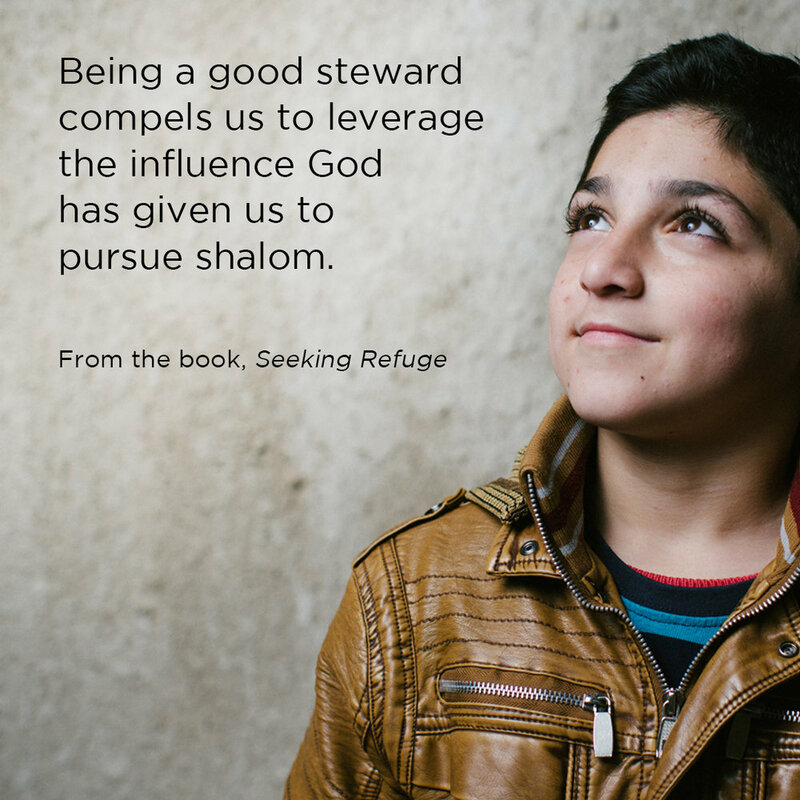 Matthew assists churches in understanding the complexities of immigration from a biblical perspective. He previously worked as a Board of Immigration Appeals accredited legal counselor at World Relief’s local office in DuPage County, Illinois and, before that, worked with World Relief Nicaragua. Matthew is the co-author, with Jenny Yang, of Welcoming the Stranger: Justice, Compassion & Truth in the Immigration Debate. 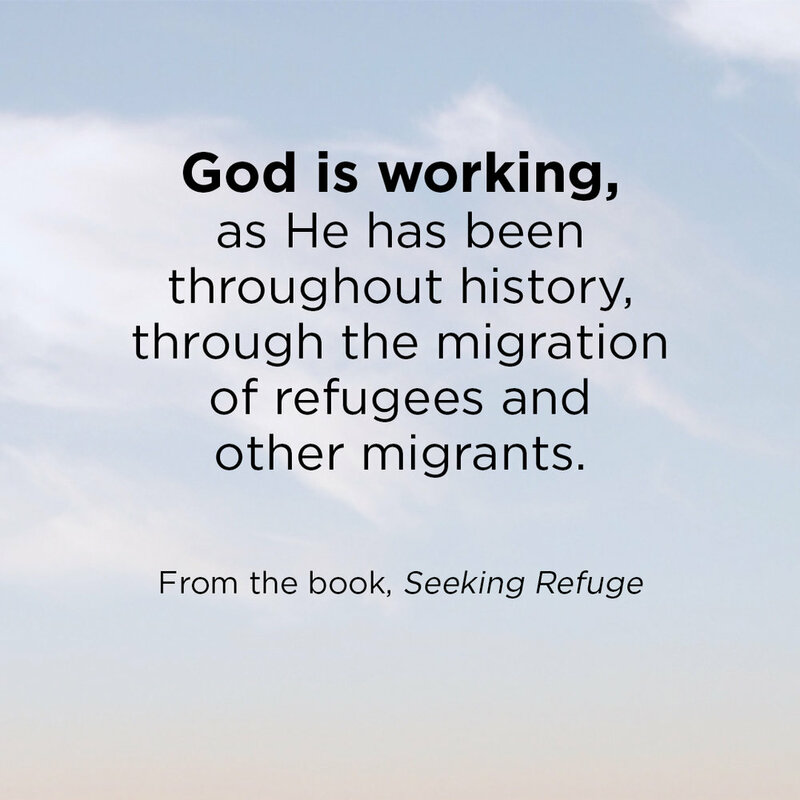 He also serves as the Field Director for the Evangelical Immigration Table, a coalition of Christian organizations of which World Relief is a founding member. Matthew earned his bachelor’s degree from Wheaton College and a master’s degree from DePaul University’s School of Public Service. Originally from Neenah, Wisconsin, Matthew now lives in suburban Chicago. Dr. Issam Smeir is a Licensed Clinical Professional Counselor who specializes in trauma treatment for refugees, victims of torture, and severely abused and neglected children. He holds a Master's Degree in Clinical Psychology from Wheaton College and a Doctoral Degree in Counseling and Clinical Supervision from Northern Illinois University, and has done post doctorate training in trauma and refugee issues at Harvard University. He has worked for World Relief DuPage since 2001, serving refugees and other immigrants from dozens of countries of origin. Prior to joining World Relief, Issam worked with several missions and relief organizations. Originally from the country of Jordan, Issam now lives in suburban Chicago with his wife and four sons.